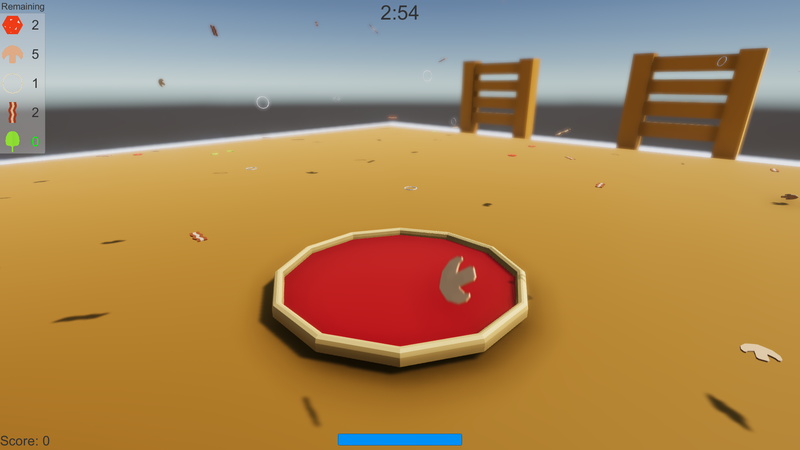 Your Goal is to serve Pizza as Ordered (top left), but be careful. 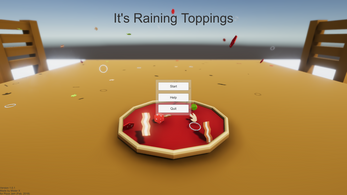 The Toppings are Falling from the Ceiling and you need to catch the right ones. If you miss one Ingredient or add too much your Score will drop, so fulfill the Order as precise as possible. 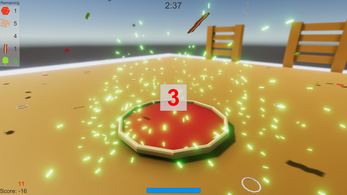 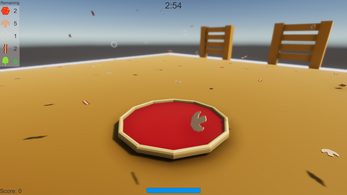 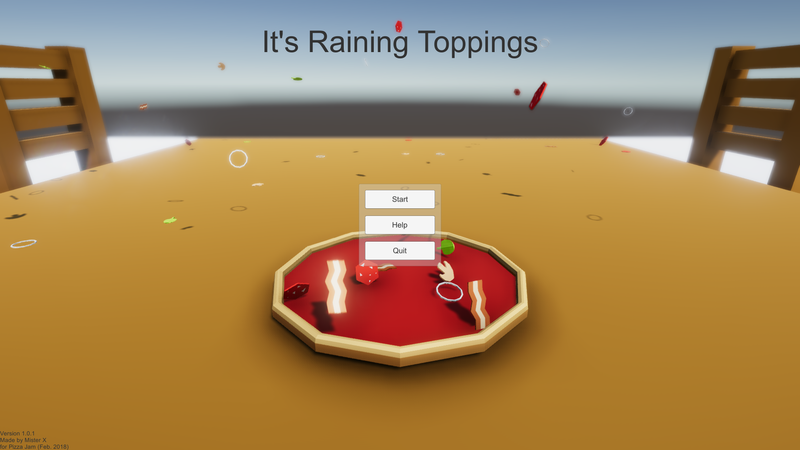 This game was created for the Pizza Jam (Feb. 2018).